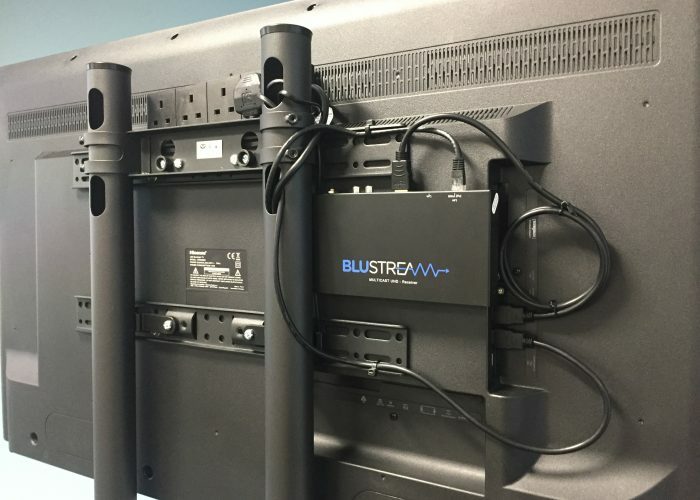 Communal IRS TV Systems, Projector Systems, PA Systems & More. 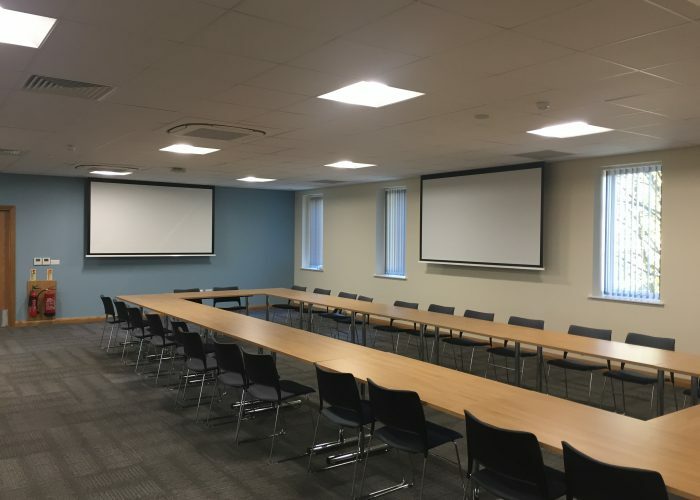 CSD TV & Audio supply and install commercial and communal digital television, radio and satellite distribution systems into apartments, housing estates, hotels, gyms, public houses and nightclubs, retail and office spaces. 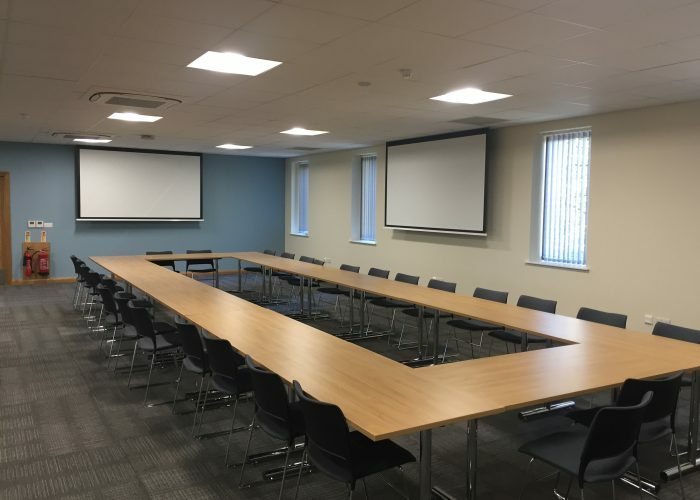 With a wealth of previous experience we can design the right system that meets your exact specification and requirements, carry out a professional high quality installation and fully test and commission the system ready for use. 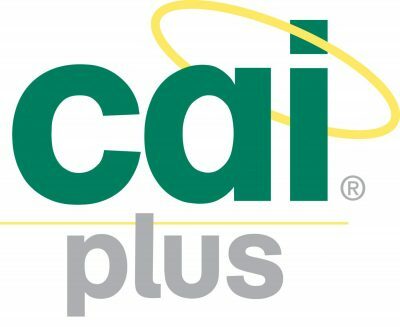 We are CAI Plus systems installers, government Trust Mark scheme members and RDI registered installers giving you absolute confidence and piece of mind with all our installations. We would always offer a free site survey and follow this up with a detailed quotation. Equipment positioning, cable routing and all other minor details would be carefully discussed before going ahead with the installation. MATV – Master antenna Television or MATV systems differ from IRS as they only offer Freeview and DAB/FM Radio services. When offering the end user the choice of satellite TV is not a prime objective this can result in a cost saving for the developer. This type of system also covers signal reception for subscription services such as BT TV, EE TV, Talk Talk TV and Now TV. 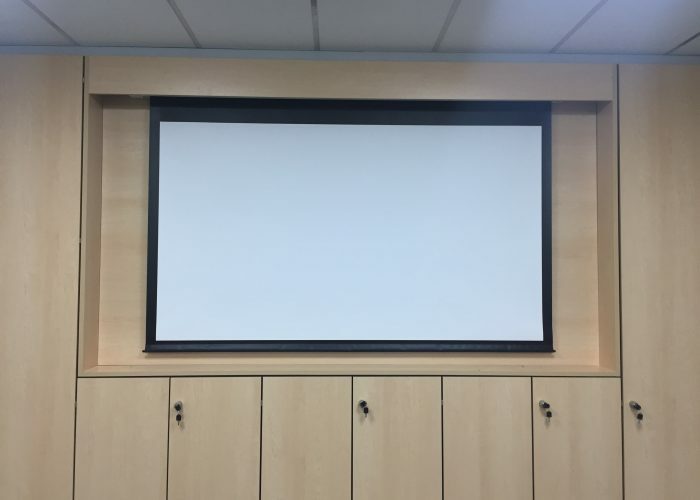 Projector Systems & Presentation Installations – With our wealth of experience we can supply and install a range of projector systems with or without an audio system. 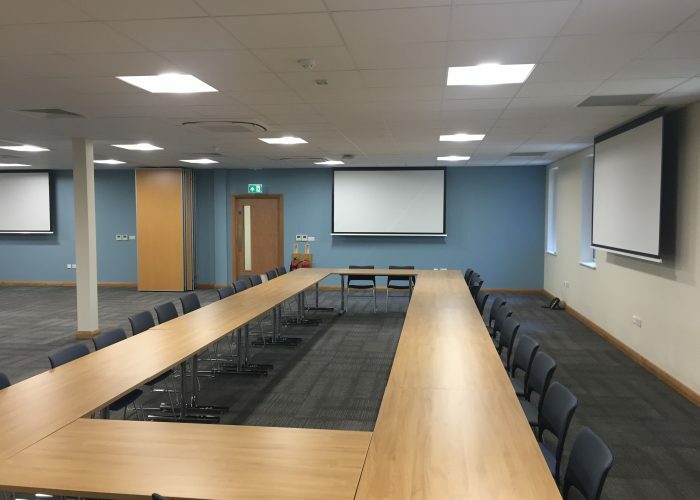 We are experts in specialist installations in large venues, training rooms, meeting rooms, board rooms, leisure and educational facilities. We will listen to your requirements, design the right system for you and source the right product within your set budget. 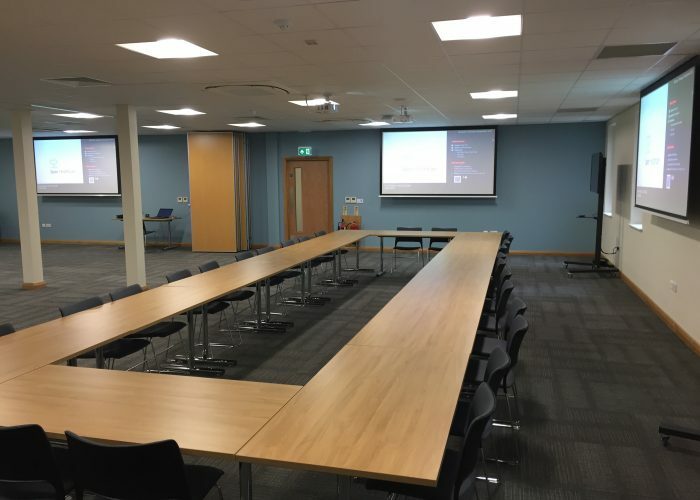 PA Systems – If your looking for a PA system to fill a small space such as a reception with background music or a whole building with music and public address features we have the knowledge and experience to provide the right solution for you. A PA System will provide your business or organisation with the means to entertain and inform your staff, clients, customers and visitors. 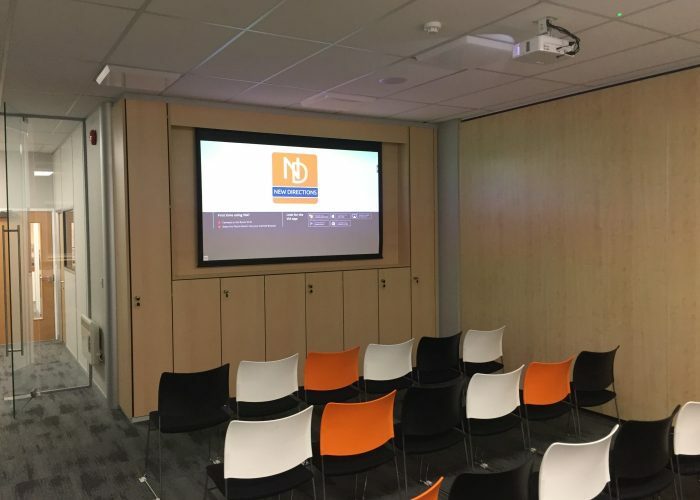 Digital Signage – Providing your clients with eye catching messages and information through the medium of digital signage is proven to be very powerful and cost effective. Whether you’re a large or small business we can tailor a digital signage package to suit your requirements. 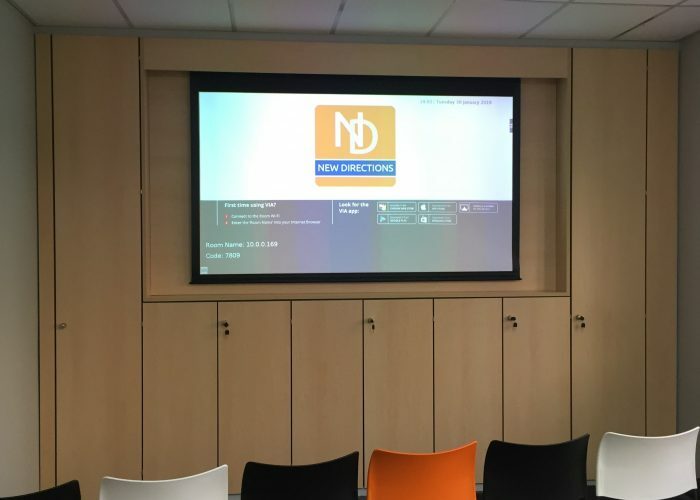 Digital signage can also be added on to your existing commercial TV system so your business can utilise the digital space it already has.